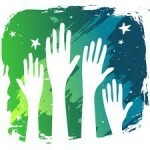 Why is Event Espresso Great for Non-Profit Organizations? You’ll notice that not-for-profit organizations often have a following of people who are interested in their cause and who are eager to be involved, but what you will also notice is that those organizations do very little with that small army of volunteers. If you’ve ever participated in the same community service project or an event for a non-profit organization more than once, you’ll see a lot of new faces that weren’t at the first event you attended. It is becoming increasingly important for non-profit organizations to be active in their mission and communities to keep their membership/advocates active and to continue to recruit other volunteers/advocates. Non-profit success is becoming more instantaneous and driven by how much help they can get from their participants. Event Espresso helps non-profits, or any organization for that matter, organize these people who care about their cause and want to get involved. We do have a list of a few of the non-profit organizations who are using Event Espresso and you can see how it has helped them organize their events, manage their volunteers, and collect revenue to support their mission and operations. But you don’t have to just organize people into a formal event. To augment your formal events and keep your volunteers involved, you can also use Event Espresso to organize people into group and assignments. Here is an example of how Event Espresso can go beyond managing your formal events to managing your non-profit volunteer’s efforts. Let’s imagine we have a not-for-profit organization with the mission to improve the literacy rate among children in foster care. We plan to achieve this mission by accomplishing three main objectives: 1) increasing the access to books for children in foster care, 2) increasing the frequency and length that foster parents read to/with their foster children, 3) recruiting an advocate in each public school facility that will champion this effort in their school and in their area. To increase the access that foster children have to books, we’ve decided to do a community book drive to collect books for the school and local libraries. With this activity you will need people to volunteer to spread the word either by going door-to-door or by taking fliers into the community, blogging about the book drive, and even get people to collect the books and deliver them to the library. You can use Event Espresso by creating events for each of these activities and asking people to sign up for them. You can set limits on the events/assignments to make sure that everyone is assigned to where you need them and that your efforts aren’t overlapped. You’ll also have people organized into groups that you can send subsequent communication. To increase the frequency/length that foster parents and children read together we are planning a read-in, where parents and children will go to the local library to 1) obtain library cards, 2) check out three books, and 3) read at least one book together while at the library. The read-in will also include a reading competition that people can register for on your website, with recognition for the highest achievers. With people pre-registering for the read-in, Event Espresso can help you gauge the volume of participation even before the read-in event, market to those who sign up and remind them to work toward their goals, and even evaluate how much of an impact you might have in the community with this event. To recruit an advocate in each public school we are going to speak with the attendees to our read-in event and try to recruit participants. With the easy sign-up form or even manual registration features of Event Espresso, each of your advocates at the library can register on your site for another event and thereby organize people into another group. You can then communicate directly with this group and create future events/assignments for them to commit to do. This is just a simple example of all the great ways you can use Event Espresso to manage your events on WordPress. Non-profit organizations can use Event Espresso to bring in revenue from their golf tournaments, service projects, etc. but they can use it to organize their volunteers and staff. Create an event/assignment that people can sign up for and let this great software do the heavy work of managing your volunteer efforts. Are these ideas new to you, or have you started to harness the complete power of Event Espresso? What novel ways have you found to use Event Espresso? I hope I’ve inspired you. In addition to supporting their mission Event Espresso also offers a discount to non-profit organizations. If you are a non-profit organization and would like to use Event Espresso to manage your events, please complete the Non-profit Discount form. If you’re a non-profit organization and you’re already using Event Espresso, we’d love to hear what it has done for you. If you don’t have a website or if it’s not built on WordPress (a content management system), let us know and we can help you understand the process to having an inexpensive website with these capabilities. Yes! We are also a non-profit using Event Espresso. It’s really helped to streamline our registration system for seminars and events. Our volunteers are able to use the data generated by EE and confirm registrations very quickly. And as a bonus, the support has been incredible. We are not very web literate and we have gotten solutions to our problems very quickly. we are unable to down load our event registsration attendee list to cvs or excel – receive and “Internet Explorer cannot download admin.php from http://www.d-asia.org (our website)” what would correct this? Do you get the professional version with the non-profit discount? I want to use this to let people sign up for positions within an event… example volunteers. Would this plug in be able to do this?